Butterfly lapel pin – Beloved Treasures! While looking at Hepburn to find happiness, he gave her a butterfly lapel pin, she liked it very much. 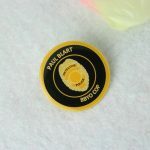 This lapel pin has been accompanied by Hepburn, with her through pain and joy until the end. Is a certain state of friendship or helpless reality of love? Nobody knows, but Peck ‘s confession which is meaningful in Hepburn funeral “you are my favorite woman in life.” The butterfly lapel pin , which accompanied Hepburn for nearly 40 years, eventually bought by Parker as a lifetime collection at a charity sale after Hepburn’s death. And just 49 days after that auction, the aged Parker closed his eyes and held the butterfly lapel pin in his hand and died. 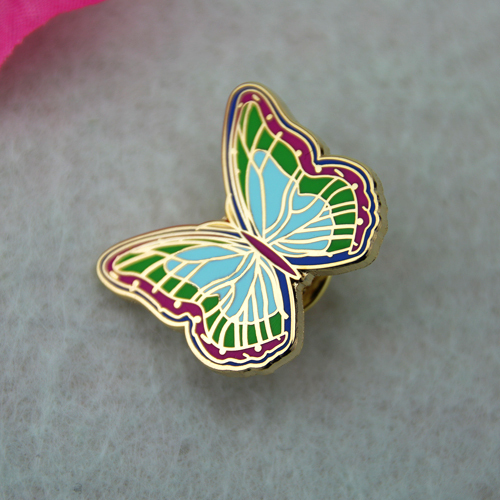 GS-JJ also produce butterfly lapel pins which have our special style. There are popular by customers, so beautiful. 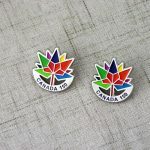 They are crafted by hard enamel. The former is suitable for mature lady and the latter for young lady. Each of us is individually poly bagged and fixed by a butterfly clutch back. If you like them, please contact us. It is our pressure to service you.